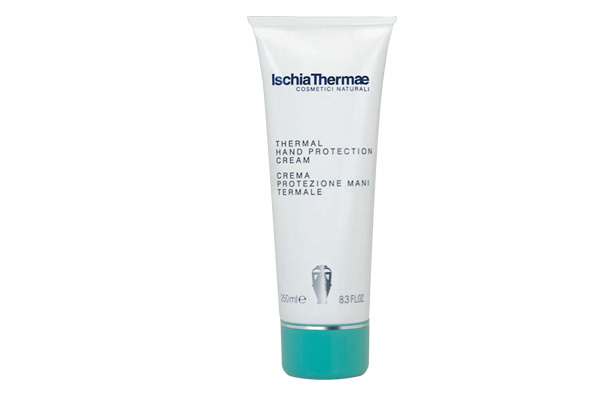 Thermal Hand Protection Cream is a highly efficient, nourishing treatment for dry and chapped skin. It helps to reinstate and re-balance the natural hydro-lipidic film that protects the skin and to diminish redness and irritations caused by daily environmental agressions. The consistency of Thermal Hand Protection Cream allows its rapid and total absorption from the epidermis without leaving any traces of oiliness on surface. The skin will look smooth, supple and clear. Apply the cream on hands and massage until it is fully absorbed. Repeat as required, even several times during the day.